You have discovered a great page on Dirt Bike Tips & Pics! These dirt bike forums have been set up exclusively for YOU, the riders of the world and the readers of this site. Check out these various off road motorcycle forums where you can share your photos, voice your opinion, thoughts, questions, gripes, and groans… whatever! … about almost anything to do with riding dirt bikes. DBP dirt bike forums work differently to the others. The conversations are informative, helpful and clean. If you’re looking for a place to bicker like a 12-year-old and hurl abuse to other readers then head to one of the many forums out there that allows that… cause this aint the place! There’s no sign-up or registration, and you don’t have to share your name if you prefer to remain anonymous. Submissions have to be accepted by the moderator… Me 🙂 before going live. This is purely to weed out any crap-talk that occasionally comes through. So I invite you to join this ever-growing community. Step out boldly, express your thoughts or fire off any questions to the world, stamp your name on a piece of cyber-space and claim it as yours! Don’t be shy, use the links below to choose a topic of interest then simply begin typing in the spaces provided on the invitational form at the bottom of each page. It’s as easy as that. Just be sure to check in on your page to follow the interest and comments from other people who read it – it’s good fun! If there’s something you want to talk about that doesn’t fall into any of these categories, just use the invitation form at the bottom of this page. 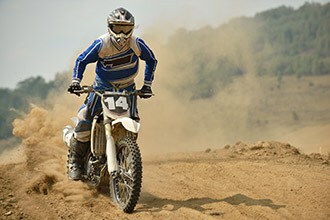 Find out what others are saying about these famous dirt bike riders and add your 10 cents worth. These forums are filled with hot topics and discussions regarding the past, present and future of 4 stroke and 2 stroke engines. Be sure to tell everyone about the pros and cons of the brand of bike you ride, or simply ask a question about one. This is where you can upload your personal pics for everyone to see. Go on, show them off and include a description or story. Be sure to check out the photos submitted from other riders. Share your experience, either as a rider or spectator, of an interesting or famous event that you have participated in – wherever it may have been. Share your fitness tips or read about what other riders do to train for MX and enduro. Find out where to ride in your local area. If your track, club or riding park aint listed here then use the submission form to add it to the ever-growing list. Is An IT 490 Too Powerful? Best Tail Pipe For A Yz250f 2010? Free Dirt Bike Games For Your P.C.